Hot on the heals of Double Bass Mania III, Beta Monkey Music on Wednesday released Double Bass Mania IV: Groove Metal. The “Double Bass” series of drum loops focuses on the metal genre, with hundreds of hard-hitting grooves and fills to choose from. Double Bass Mania IV slows the grooves down a bit from the speedy 180-240 beats per minute in version III to a more manageable 90-120 beats per minute. The collection of loops features grooves and a variety of fills, as well. Basically everything you need to build a song in almost any genre. That is the real difference between Double Bass Mania IV and the earlier III release. Version IV has some straight drum grooves, giving you the option of creating regular hard rock songs that may not use the double bass as much as faster metal songs. The Loops can be used with applications like GarageBand, Logic Pro and Pro Tools. 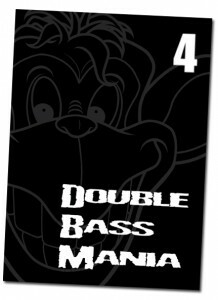 Double Bass Mania IV: Groove Metal costs $44.44 and is available from the company’s Web site.